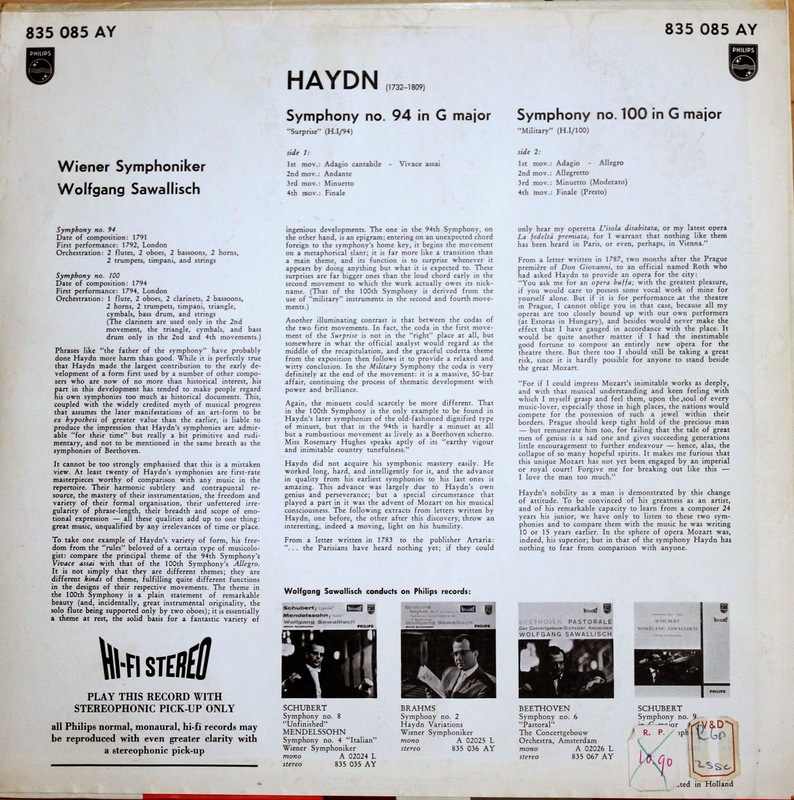 Haydn: Symphony No. 94 in G major "Surprise", Symphony No. 100 in G major "Military"
Here's one you don't see surface too often on the collector's markets but can be obtained at "reasonable" prices. 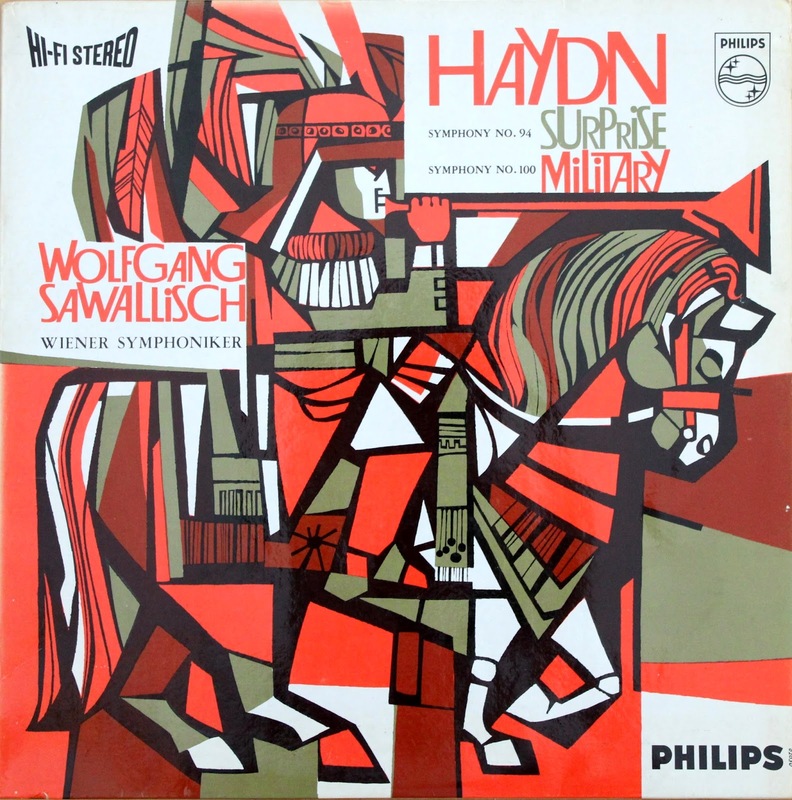 The German conductor Wolfgang Sawallisch, who just passed away at the age of 89 in 2013, made a number of early recordings for Philips in the early 1960s, including recordings of standard symphonic repertoire by Beethoven, Schubert, Mendelssohn, Brahms, and this recording of two of Haydn's "London" symphonies. As could be expected for the time, this is "big band" Haydn, played with full orchestra. 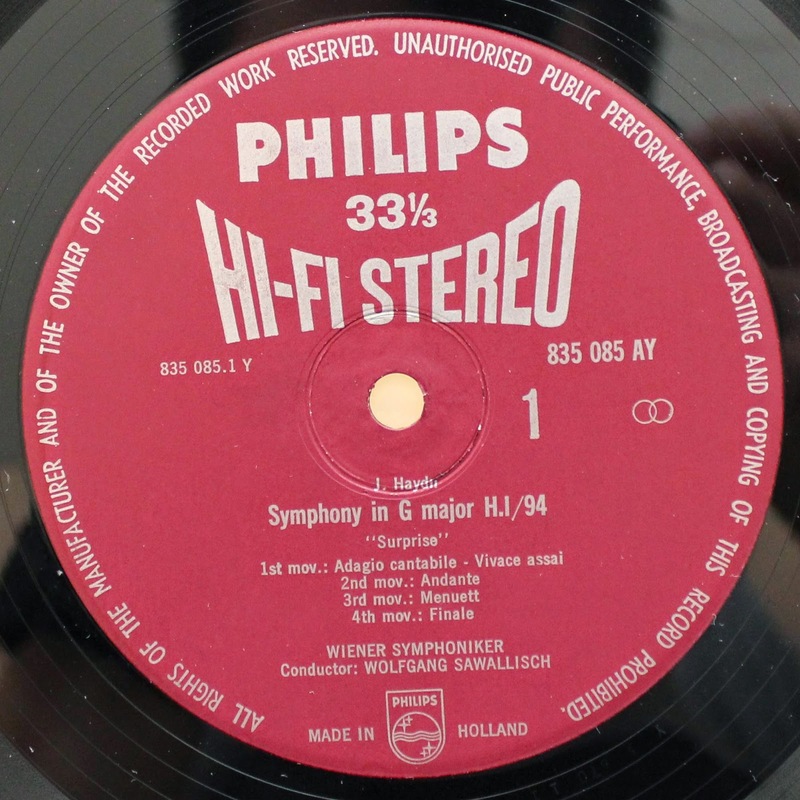 On this LP, Sawallisch conducts the Vienna Symphony, not to be confused with the Vienna Philharmonic. The performances are enjoyable, swift and energetic, though after listening, I was left still preferring the more captivating recordings of Sir Colin Davis (Philips) or Leonard Bernstein (CBS). The sound is clear, perhaps a little dry, and dynamics are quite decent though not what I would call exemplary. Though not an essential addition to your collection, If you like Haydn's London Symphonies like I do, consider picking this one up. what about Dorati on London?